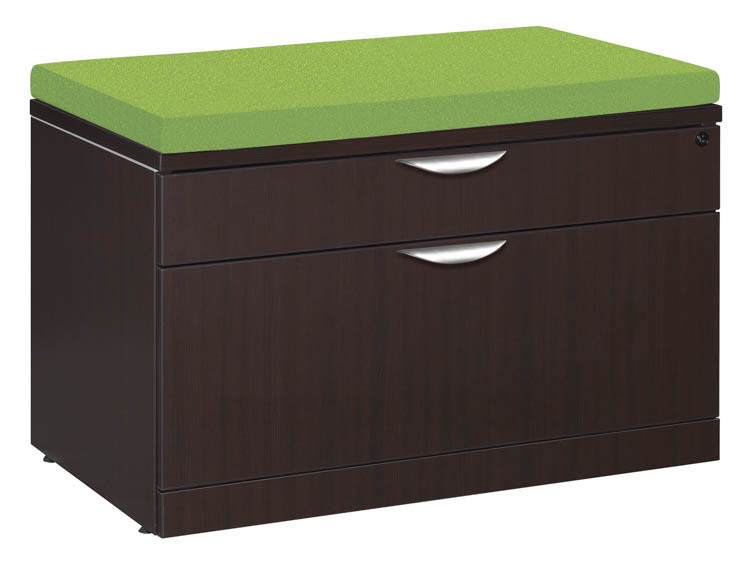 Transform your Lateral File into a comfortable seating option with the addition of this durable top cushion. Your office furniture products should be durable and well designed, while also offering you practical functionality. This top cushion delivers on all points, to give you a product that you'll enjoy for many years. This comfortable and durable top cushion is offered in four fabric options to ensure that you can mix and match your cushions to get the best fit, and match them with your current office design and style. Top Cushion Upholstered in 4 color choices: Celestial Blue, Lime Green, Dark Gray and Visconti. Lateral File (PL112) sold separately. Overall Dimensions: 36”W x 21”D x 1.62”H.